Welcome to FKK at Sedgley, Ken Dicks (one of the founder members of FKK) is not only the head club instructor here, but also the head instructor for the federation. 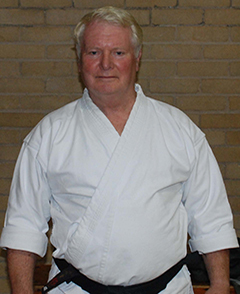 Sensei Dicks is an 8th Dan black belt, and has been practising the art of Wado Ryu since 1964. He teaches two classes per week, and runs many courses throughout the year at the Coseley club, that all federation members can benefit from. Classes at Sedgley are tailored for children from all walks of life. Come along and enjoy expert instruction from a highly regarded icon of Wado Ryu. Classes are fun and informative, but most of all, will give you a true insight into the art of Wado Ryu. Whether you want to take up Karate for self defence, to build your self confidence, or simply to keep your self fit, please feel free to come along and have a try, you will be surprised how enjoyable it can be. It’s not just about physical fitness, mixing with like minded people can give you a new social network of friends to interact with.